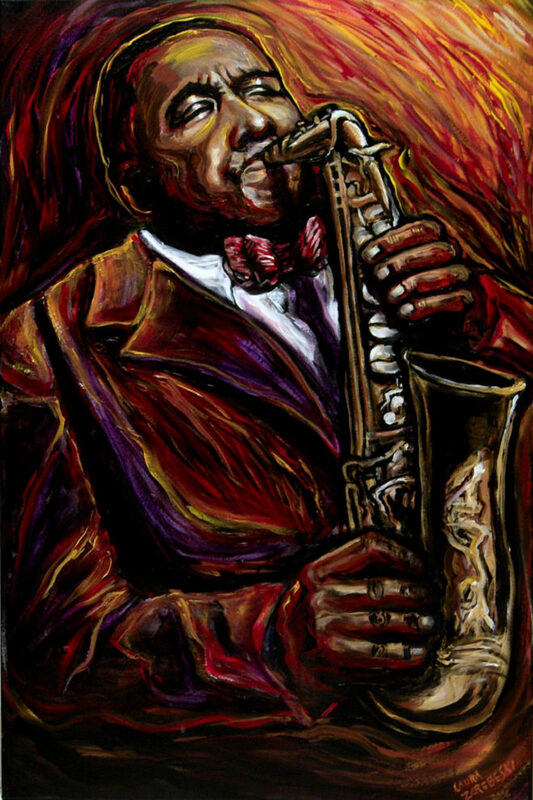 Charlie Parker, 1920-1955, was arguably the greatest saxophonist of all time and a founding father of bebop. Brilliant, addicted, died at age 35. I used an old black and white photo taken at Birdland, New York, in 1949 as a reference.